My family and I are of the mindset that Christmas decorations absolutely do NOT go up before Thanksgiving. Just because it's in the stores, and all over TV, internet and radio advertising before Halloween, doesn't mean we have to skip holidays. 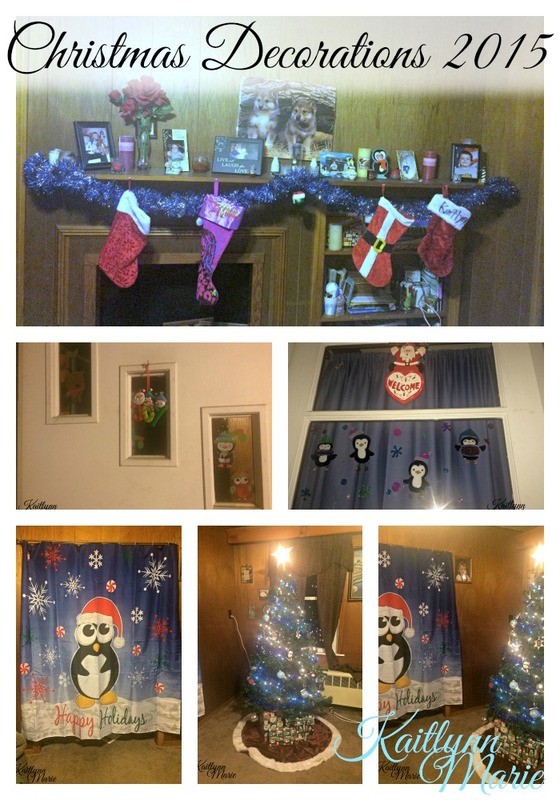 That said, we typically have our decorations up, or at lease mostly up, the weekend directly following Thanksgiving. 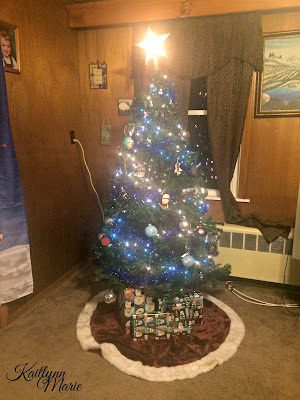 Amanda, Bug, and I put up our (artificial) tree and decorated the living room on Saturday. Here's what it looks like. 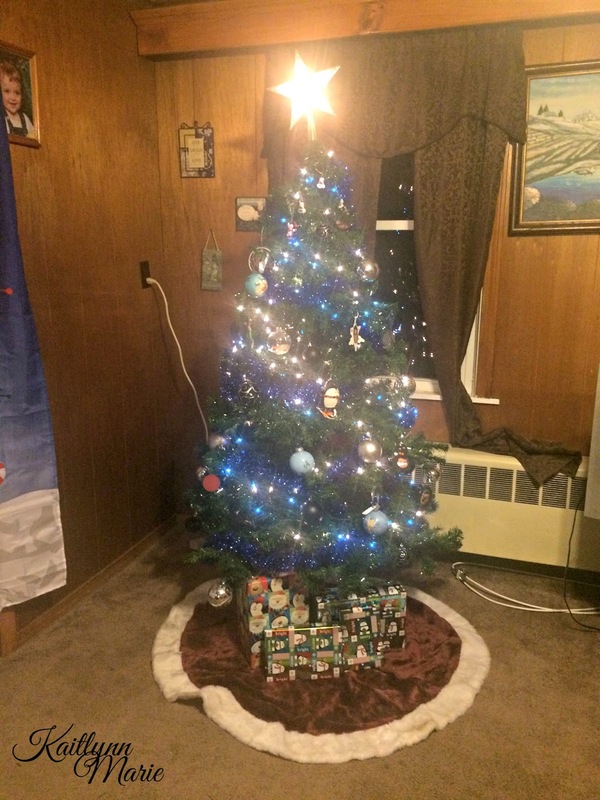 We had to put the tree together, because it's artificial. That was a trip. Everything was just thrown into the box, so we had to find the colors that went together and pull the branches open. Then we got to decorate. That's always the fun part! We stick to a theme, and we only ever have two colors for the baubles and two for the lights. White lights are a must, and we only ever do one strand of another color, usually blue. Then we have black and white/silver baubles, and our personal family baubles. Bug usually tries to get as few personal ones up as possible. She likes to stick with the theme. 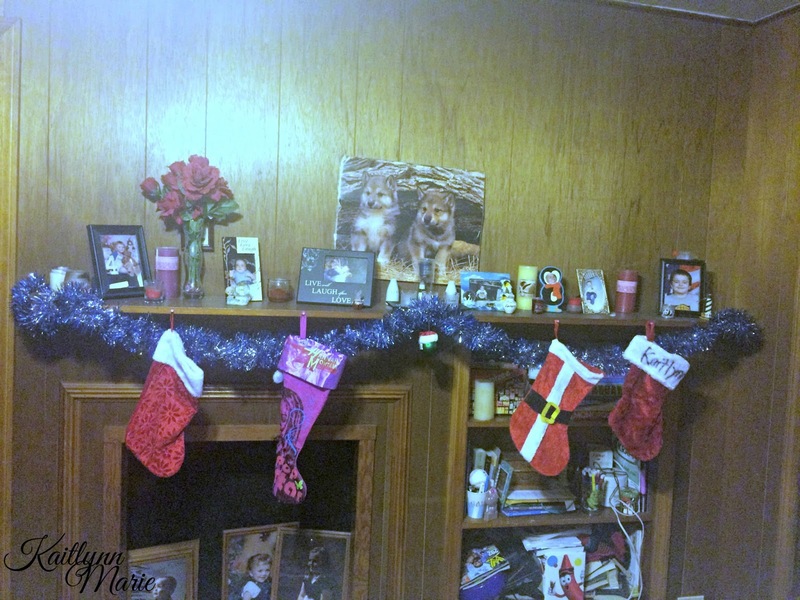 Then we did the mantle. This is the first year we've had a real fireplace mantle, even if we don't have a real fireplace. We had decided months ago that we were going to hang the stockings on the mantle, where they belong, and then we added the garland to match the tree. Amanda and Bug put up the clings on the windows and the plaques on the doors while I was at work, and I have three small snowflakes on my bedroom window. That's just for me, since no one can see it on the second floor window. 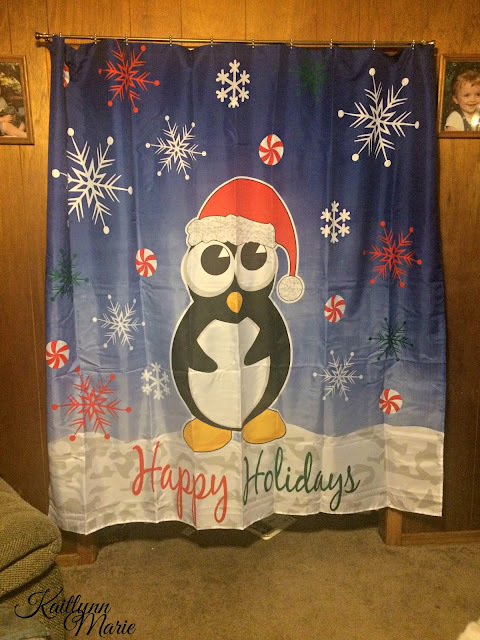 Last but not least, my other sister Brenda gave Amanda a new shower curtain for the holidays. Since we don't often have guests in the bathroom (obviously) she decided to replace our curtain dividing the living room and spare room with the shower curtain. I think it's super cute, and still goes with our blue theme. Sometimes, living with roommates can make decorating, especially for holidays, difficult. Luckily my sister and I have the same favorite color, blue, and similar tastes. And she made sure to wait until I got home to finish decorating so I had a say, and could help. 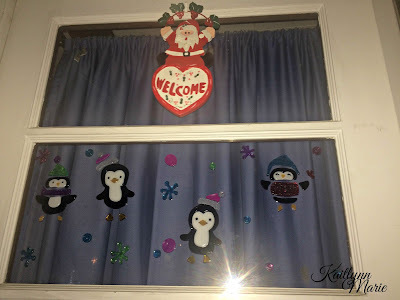 I was also there when she bought the window clings and the door decorations. 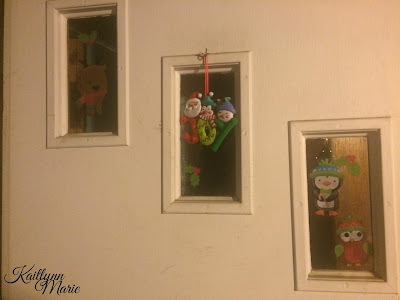 So, what did you decide to do for decorations this year? Do you have a theme, or is it just a mix? Let me know in the comments below!